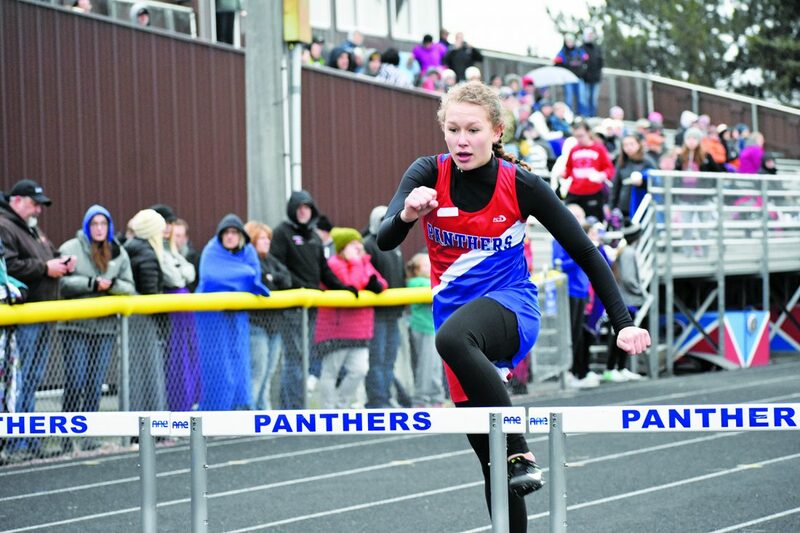 Photo by Sam Thiel TMB’s Maddi Langerock gets ready to leap over a hurdle during the 300-meter hurdle event in the Panther Invitational on Tuesday. TRACY — A number of area track and field teams participated at the Panther I Invite on Tuesday. The Marshall Tigers swept the invite recording the most points in both boys events and girls events. On the boys side, Marshall won with 131 points, while Montevideo (93) was in second place. Murray County Central and Mountain Lake Area/Comfrey tied for third place with 77 points apiece, followed by Tracy-Milroy-Balaton (59), Lakeview (57), Wabasso (37) and Heron Lake-Okabena/Fulda (28). The Marshall girls won with a score of 148 1/3, edging out HLO/F (145) in second place. TMB (60) took third, followed by Lakeview (47 1/3), MLA/C (44), MCC (42 1/3), Montevideo (41) and Wabasso (30). The Tigers finished the invite with 15 total first-place finishes (eight girls, seven boys). Leading the girls was Natasha Reinsma, who won both the 100-meter hurdles (17.53 seconds) and the long jump (14 feet, 3 inches). Also recording individual wins were Jersey Leysen in the 300 (2:35), Savannah Boedigheimer in the pole vault (8-0) and Jenna Mortier in the triple jump (31-5). The Tigers added three wins in the girls relay races. Kaia Sueker, Natalee Sample, Bellamy Sukalski and Clara Bader won the 3,200-meter relay (10:10.28). Danya Estrada, Adrienne Simpson, Araya Rock and Leah Matzner finished with a first-place time of 2:00.81 in the 800 relay, while the same four runners won the 400 relay in 57.00 seconds. Marshall had five different boys register wins on Tuesday. Bryce Paulsen won the 110-meter hurdles in 15.81 seconds, while Yahya Black had a winning shotput throw of 48-4. Eli Salisbury won the 1,600-meter run in 4:47, while Zach Matzner won the 800 in 2:09. Josh Deines added a win in the triple jump (39-11.5). Quentin Blomme, Matzner, Salisbury and Karter Wasberg won the 3,200-meter relay in 8:33.53, while Blomme, Deines, Grant Hoff and Paulsen won the 1,600 relay in 3:42.28. The host Panthers had three first-place finishes (two girls, one boys). Jordan Munson won the girls 400 with a time of 1:04.13, while Elsa Landherr, Annaka Hook, Munson and Brooke Christian won the 1,600-meter relay in 4:30.13. Michael Munson, Cobey Anderson, Tyler Vandendriessche and Fritz Landherr won the 800 relay at 1:39.59. The Lakers also had three first-place finishes. Ben Louwagie won the 3,200 in 11:37, while Payton Timm won the 200 in 30.74 seconds and Sierra Plotz won the high jump with a leap of 5-0. The lone first-place finish of the invite for the Rebels came from Justin Clarke, who won the 400-meter dash in 54.81 seconds. Carl Swedzinski picked up the lone Wabasso win in the boys discus, measuring a distance thrown of 135-1. COTTONWOOD — Minneota/Canby swept a conference doubleheader over Lakeview on Tuesday, winning Game 1 11-1 in five innings before a four-inning 23-2 win in Game 2. Four hitters recorded two hits apiece for M/C in Game 1. Abby Rangaard went 2 for 2 with two RBI and two runs scored, while Brooklyn Nelson recorded an RBI and scored twice. In the circle, Nelson struck out three batters over four innings pitched in the win. Kaitlynn Bot went 3 for 3 to lead Lakeview. In Game 2, the Vikings used a 15-run third inning to take command of the game. Abby Hennen went 4 for 4 with three RBI and three runs scored to lead the Vikings attack. Emily Pohlen added three RBI on two hits in the win. Sydney Larson and Ava Larson held Lakeview to just three hits in the game. Toree Heuberger recorded the lone RBI for Lakeview. HITTING: Lakeview (Rausch 2-3, run; Bot 3-3; Kirckof 1-1); Minneota/Canby (Johnson 1-3, run; Pohlen 2-3, RBI, run; S. Larson 1-3, run; Nelson 2-3, RBI, 2 runs; Konold 1-2, RBI, run; Rangaard 2-3, 2 RBI, 2 runs; Buysse 2-2, RBI, run). PITCHING: Lakeview (Johnson 4.0-11-11-7-1-2); Minneota/Canby (Nelson 4.0-4-1-1-3-3; Tolk 1.0-2-0-0-0-0). HITTING: Minneota/Canby (A. Hennen 4-4, 3 RBI, 3 runs; Sanow 1-1, 2 RBI; Pohlen 2-4, 3 RBI, run; S. Larson 1-3, RBI; Sorenson 3-4, RBI, 4 runs; Nelson 3-3, RBI, 3 runs; Konold 1-3, RBI, 3 runs; Rangaard 1-2, 2 RBI, 2 runs; S. Hennen 1-1, RBI, 2 runs; Buysse 3-3, 2 RBI, 3 runs); Lakeview (Schuster 1-1; Johnson 1-1; Kirckof 1-1). PITCHING: Minneota/Canby (S. Larson 2.0-0-1-1-7-2; A. Larson 2.0-3-1-1-1-2); Lakeview (Schuster 2.1-14-18-16-3-1; Johnson 1.2-6-5-5-1-3). SLAYTON — The Murray County Central softball team opened its season with a 6-3 win over Mountain Lake Area/Comfrey on Tuesday. Montana Beckmann led the way for MCC, going 3 for 3 with a home run and two runs scored. Danielle Kuball added a three-run home run in the win. Amanda Muecke went the distance in the circle, recording six strikeouts for the Rebels. MCC (1-0) is scheduled to host Heron Lake-Okabena/Fulda on Tuesday. HITTING: MCC (Beckmann 3-3, HR, 2 runs; Kuball 2-3, HR, 3 RBI, run). PITCHING (IP-H-R-ER-BB-K): MCC (Muecke 7-3-3-1-3-6). WABASSO – The Wabasso softball team fell to Sleepy Eye 6-5 on Tuesday. Megan Rothmeier led the way for the Rabbits with a 2 for 4 day at the plate with a pair of doubles while Allison Fenger and Cora Eichten each added a pair of hits. Sarah Franta took the loss in the circle, allowing one earned run. Wabasso (0-3) is host to the Wabasso Invitational on Saturday. WACONIA — Marshall opened its season on Tuesday, dropping a pair of games to Waconia. Waconia defeated Marshall 15-5 in five innings in Game 1, while Game 2 was an 11-1 six-inning win. The Marshall offense was held to just four hits in the opener, as Jackson Hughes, Nick Macchio, Brayden Hilgemann and Matt Hmielewski all recorded a hit and each drove in a run in Marshall’s five-run second inning. Isaac Schmitt got the start and struck out three batters over two innings. In Game 2, Marshall only totaled three hits. Macchio singled and scored a run, while Cody Greve and Andrew Mulso also added hits. Marshall is scheduled to host New Ulm on Thursday. HITTING: Marshall (Hughes 1-4, RBI; Macchio 1-1, RBI, run; Hilgemann 1-2, RBI, run; Hmielewski 1-3, RBI, run). PITCHING: Marshall (Schmitt 2.0-7-8-8-3-3; Terfehr 2.0-3-5-2-2-2; Hughes 0.1-1-2-1-2-0). HITTING: Marshall (Greve 1-3; Macchio 1-2, run; Mulso 1-3). PITCHING: Marshall (Steinbach 2.0-8-8-4-3-0; Hilgemann 1.0-0-0-0-5-0; Mernaugh 2.2-3-3-1-1-2). SLEEPY EYE – The Wabasso baseball team fell to Sleepy Eye 12-0 in five innings on Tuesday. Will Carlson and Ty Altermatt led the way for the Rabbits with a 1 for 2 day at the plate. Carter Benz took the loss on the mound, giving up nine runs on three hits in one inning. Wabasso (0-4) will face Edgerton/Southwest Minnesota Christian and Minneota in a doubleheader on Friday at 4 p.m. HITTING: Wabasso (Carlson 1-2; Altermatt 1-2). PITCHING (IP-R-ER-H-BB-SO): Wabasso (C. Benz 1-9-5-3-7-0; Altermatt 3-3-2-2-3-2). 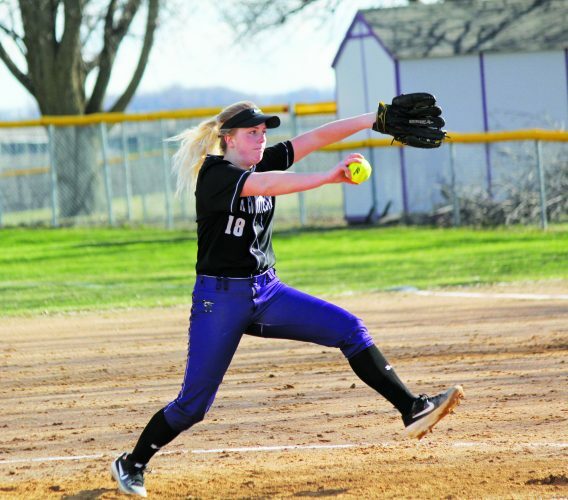 HERON LAKE — They needed extra innings to pull it out, but the Heron Lake-Okabena Coyotes defeated Red Rock Central/Westbrook-Walnut Grove 3-2 in nine innings on Tuesday. The Falcons were held to five hits in the loss, getting one apiece from Mason Irlbeck, Luke Willhite, Dominik Smith, Blaine VanMeveren and Jack Derickson. Irlbeck struck out eight batters over six innings in the loss on the mound. 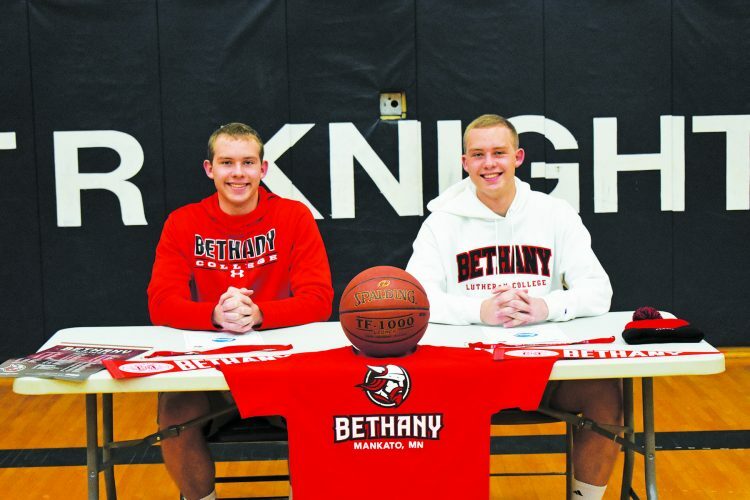 RRC/WWG is scheduled to play Edgerton/Southwest Minnesota Christian on Thursday. HITTING: RRC/WWG (M. Irlbeck 1-3; Willhite 1-4, run; Smith 1-4; VanMeveren 1-3; Dereckson 1-1). PITCHING: RRC/WWG (M. Irlbeck 3-1-0-4-8; Halvorson 2.1-3-2-2-2-4). FAIRFAX — Three teams took to the golf course on a cool Tuesday afternoon to beat the incoming winter storm. Gibbon-Fairfax-Winthrop swept the triangular on its home course, with the girls defeating Minnesota Valley Lutheran 239-252 while Wabasso had an incomplete score. The GFW boys won with a 214, followed by Wabasso (248) and MVL (279). Jayden Goblish carded a 55 to lead the Wabasso boys, followed by Tristan Kuehn at 61. Jayden Carlson and Hunter Bernardy each recorded rounds of 63. Jocelyn Jenniges led the Wabasso girls with a 78, followed by Lizzy Pitzl at 82 and Gabby Fennern with a 97. Wabasso is scheduled to return to action Thursday at Oakdale Golf Club near Buffalo Lake. WESTBROOK – The Westbrook-Walnut Grove boys and girls golf teams hosted Southwest Minnesota Christian in a dual meet on Tuesday. The Charger boys team won with a score of 187 while SWC shot 188 and the WWG girls team won with a team score of 219 while SWC had an incomplete team score. On the boys side, Andrew Quade and Brady Ross led the way for WWG with scores of 44 while Nathan Ross shot 48 and Ben Olson had a 51. On the girls side, Halle Steen led for WWG with a 53 while Brittany Erickson and Emma Wahl both shot 55 and Lexy Herding had a 56. WWG will compete on Friday against Windom Area at 4:30 p.m.